Welcome back to another edition of Sports Science Monthly. 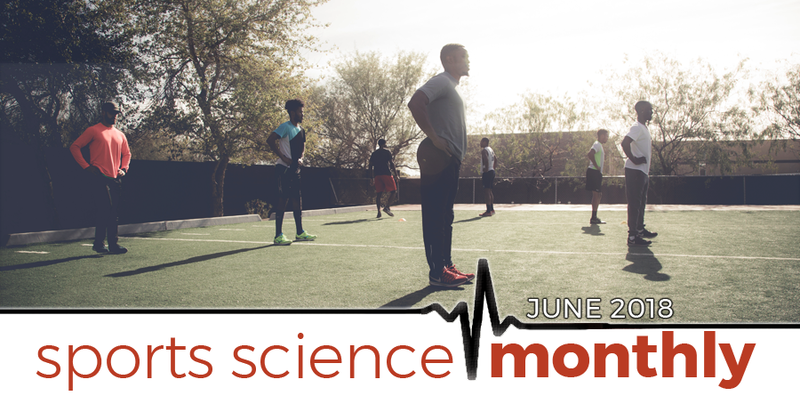 This month, we take a closer look at warm downs, ice baths, carbohydrates, and some new findings regarding sleep in athletes. Do you need to warm down? » Quick summary: Despite the common wisdom that warm downs are important, there is actually a surprising dearth of evidence supporting their use. At present, the evidence suggests that, on the whole, warm downs likely aren’t harmful, but also appear to offer little benefit. The warm down is an important part of improving your recovery from training . . . isn’t it? That’s the question which was posed by the two authors of an excellent recent review published in Sports Medicine. In their paper, titled “Do we need a cool-down after exercise? A narrative review of the psychophysiological effects and the effects on performance, injuries and the long-term adaptive response,” Bas Van Hooren and Jonathan Peake explore the evidence surrounding the effectiveness of a warm down on enhancing subsequent physical activity, and also longer-term exercise adaptations. Such a review is important, because many people do utilize warm downs, although they are fairly poorly researched when compared to other interventions such as ice baths and compression garments. When reviewing the evidence, the authors looked for studies that compared an active warm down with a passive one; i.e. doing something compared to doing nothing. A further inclusion criterion was that the warm down had to occur within an hour of completing training. Finally, the next exercise bout had to be at least 4 hours following the warm down, mimicking the training behaviors of elite athletes, who often train multiple times per day. In the case of same-day subsequent exercise, an active warm down following training appears to have no positive impact on subsequent performance, and may even have a slightly small negative effect. The results are slightly more promising for subsequent day performance, with only a few studies reporting that an active warm down may be harmful to subsequent performance. However, the other studies tend to report trivial effects, indicating that any potential impact – either positive or negative – is likely too small to make any measurable difference. In terms of the physiological impact of a warm down, the evidence is potentially slightly more promising, at least at first glance. When it comes to the removal of lactate, an active warm down has been shown to be more effective that a passive warm down. However, whether this is actually important or not is currently unclear; blood lactate tends to return to baseline levels within two hours post-training anyway, so speeding this process up likely has no impact on subsequent physical performance that occurs after this time. In addition, whilst it has long been thought that lactic acid causes fatigue, this isn’t necessarily the case, and so there is the possibility that blood lactate itself is somewhat benign. When it comes to delayed onset of muscle soreness (DOMS), the results tend to be similar; there is no significant impact of an active compared to passive warm down on feelings of soreness at various time frames up to 96 hours post-exercise. The same is true for range of motion measurements and muscle stiffness; on the whole, there are no additional benefits to carrying out an active warm down when compared to a passive warm down when it comes to reducing muscle stiffness post-exercise. But what about the impact of an active warm down on longer-term aspects of training? When it comes to injury risk, again the balance of evidence suggests that there may be no beneficial effect of an active warm down. However, there is some potentially positive news with regards to an active warm down; because an active warm down is, well, active, it has the potential to act as an additional training stimulus. As such, those that undertake such a warm down have the potential to experience greater improvements in fitness than those that utilize a passive warm down, assuming that the within-session workload is the same between the two groups. Therefore, there is the potential that, whilst overall a warm down has no beneficial effect, it can act as an additional training stimulus, yielding further physical improvements (similar to Derek Hansen’s microdosing hypothesis). So, what’s the key take-home? Well, as tempting as it is to say that there is no need to undertake an active warm down – and certainly, the evidence in this review offers support to this – it’s important not to throw the baby out with the bathwater; an active warm down may aid in some additional training adaptations, and it potentially aids in psychological recovery, which in turn is important. Overall, there is little evidence that an active warm down is harmful to next day performance (although there is some evidence that it may be harmful to same day performance), so there appears to be little downside for a potential upside. That said, I didn’t really utilize a warm down during my career, so I can also see the flip side to the argument – if there are no real benefits, why bother?